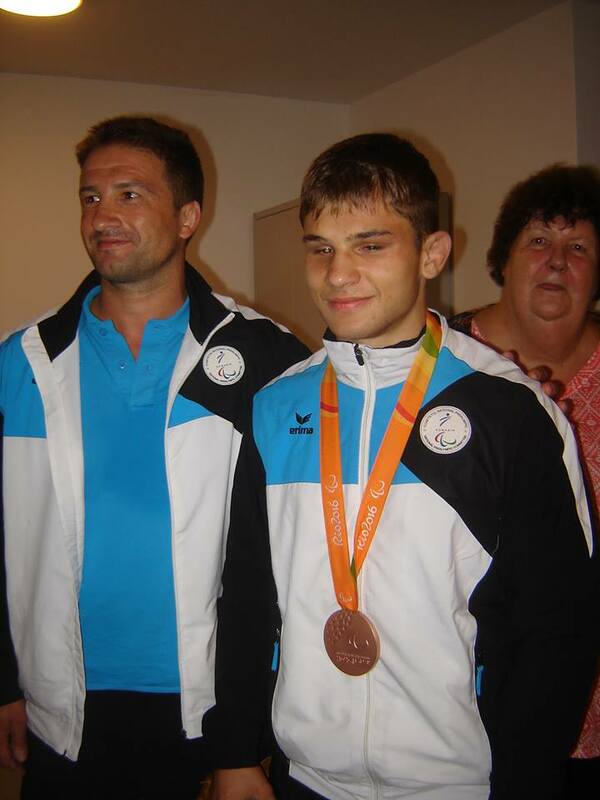 Alex Bologa won the first medal for the Romanian Paralympic Team – a bronze at the -60kg . Look at the medal which is a very special medal, written in braille and when shaken has a rattling sound which the visually impaired can hear. Congratulations – Bravo – there are not enough words to say how happy we are for Alex and his trainer Tomi! Mihaela Lulea and Iulian Serban entered the finals of the K3 Para-Canoe event. Both of them were very near to winning a bronze medal but it was not to be – they missed it by less than a second. However, it is a great result for our two athletes who participated in the Paralympic Games, in a new paralympic sport only approved as such in 2010.